KAMMA represents the Manufacturing and Industrial community by staying on top of political initiatives. 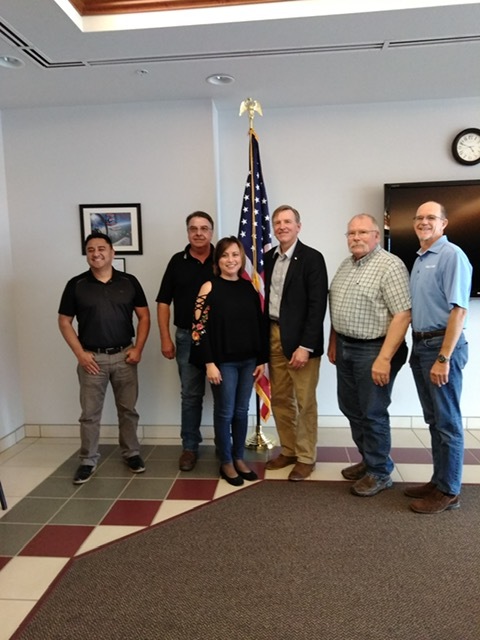 Round Table with Congressman Paul Gosar, D.D.S. This letter addresses the unfair and even malicious portrayals of the Kingman and Mohave Manufacturing Association (KAMMA) and others which have recently appeared in the press and social media regarding our support of the Rancho Santa Fe Interchange and the associated access to the Kingman Airport Industrial Park. Everyone who has been to a KAMMA Meeting in the last four years knows that KAMMA is championing the development of the Rancho Santa Fe Interchange and the associated route into the Industrial Park. In the last three years, KAMMA’s support for the Rancho Santa Fe Parkway Interchange has become even more ardent because, in our delay, Kingman is missing a golden opportunity to participate in the biggest U.S. manufacturing renaissance since the beginning of World War II. One of the hardest truths to acknowledge is that in around 2007, the Ranch Santa Fe Parkway Interchange was approved, funded and almost completely engineered. It was not built because of “local political situations/sentiments”. The losses our Kingman and Manufacturing Communities have suffered because of that political short-sightedness could have likely financed the Rancho Santa Fe Parkway and the Kingman Crossing Interchanges several times over. 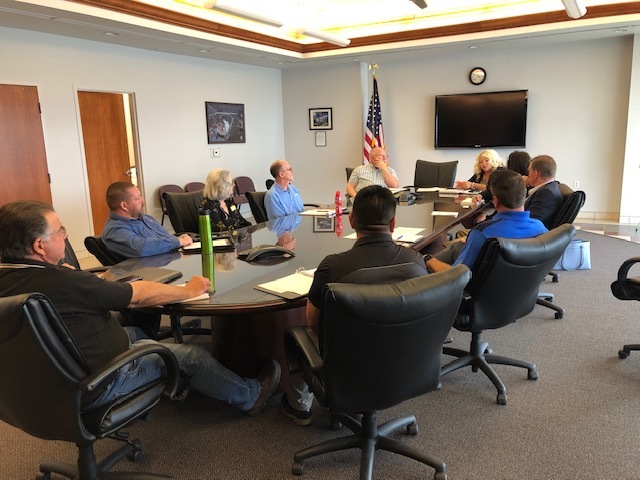 The Kingman and Mohave Manufacturing Association (KAMMA) was conceived and started in 2011 as a means to retain and attract Manufacturing Jobs in our county and communities. It is a 501c.6 organization, incorporated in the State of Arizona. As a Tax-Exempt, Not-for Profit organization, KAMMA’s revenues depend entirely on: Annual Membership dues, Donations from Member Organizations and Public Speaking contributions. KAMMA believes that we can best serve our community when we are “obligated” to no person, business or political group. KAMMA has represented Kingman and Mohave County in California, Colorado, Utah and all across our state (at no cost to our County or Community). KAMMA hosts and has hosted open Monthly Meetings since 2012. Every member and Board Member is a volunteer; no member receives or has ever received any compensation for their diligent work. There are several possibilities and sources for funding the Rancho Santa Fe Parkway Interchange and Industrial Park Access Development. KAMMA has participated in Kingman’s/Mohave County’s application for “Tiger” and “Build” Grants. KAMMA and our Community have pleaded with our Legislators to give the Interchange and Industrial Park Access a higher priority. 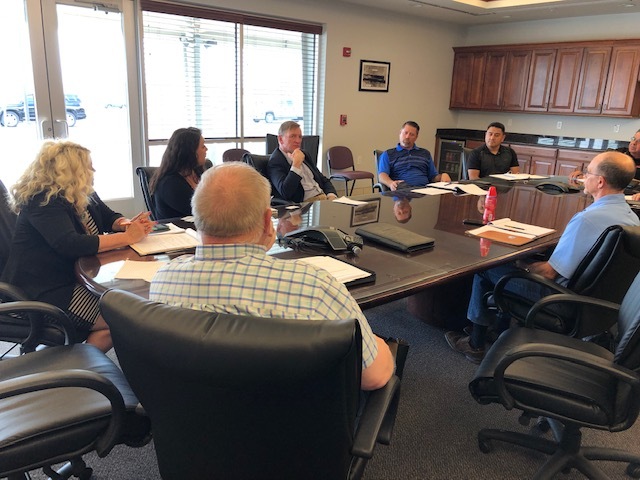 KAMMA has taken our needs to the Arizona Department of Transportation Board and to the Arizona Freight Advisory Committee and pushed for planning, prioritization and scheduling. KAMMA has had discussions with “In Town” and “Out of Town” developers, some of whom have already made extremely significant long-term investments in the future of the Industrial Park and many of whom are now paying a high penalty for their desire to build a better future for Kingman and our region. What we hear from each of our inquiries is: “Kingman and the beneficiaries must be willing to participate in the project.” Beneficiaries have given and pledged their support, but, without a new source of Tax Revenue, Kingman cannot afford to participate. The TPT at least presents the possibility of being able to provide some assurance to National and State agencies, investors and prospective manufacturers/employers that Kingman can “come to the table” in the project. KAMMA fully supported the TPT when it was implemented. The Kingman Citizens for Responsible Taxation’s Responsible Sales and Use Tax Act Initiative was set in motion to oppose the TPT. Regardless of their reasoning, KAMMA supported their right to petition. The petition’s signature/support gathering effort was executed and concluded. When the signatures were counted/validated, the petition was disqualified by the City Clerk. The petition circulators filed a lawsuit against the City and the County. KAMMA jointly filed an opposing lawsuit to address concerns about the legitimacy and validity of the entire process. KAMMA appeared in Judge Jantzen’s court to “speak” on behalf of our member’s and supporter’s concerns. Judge Janzten ruled in the case and KAMMA did not prevail. Our local justice system has spoken and KAMMA has listened, but KAMMA is also aware that there were concerns which could not be addressed (in the court) and questions which were not truly answered. With Judge Jantzen’s decision, this measure will go to the Ballot in November. KAMMA and the business people who are represented by KAMMA hope that every November voter will be given the opportunity to have a true and objective understanding of the needs, values and the detriments in the Transaction Privilege Tax. It is true, from my own first-hand experience, that some of the information provided by some of the signature collectors was not true. Statements like, “The TPT is just another way that Kingman is trying to get money from people living in outlying communities” or “The TPT is just the first of an ever increasing set of tax increases, or “The City Government is going to bankrupt the city if they keep the TPT” do not represent the TPT accurately or truthfully. The negative misrepresentations were bad enough, but not one of the signature gatherers that I spoke with and/or observed were willing or able to address how portions of the TPT were going to be spent to improve and preserve our City roads. Not one of them that I spoke with was willing or able to address how the TPT might enable portions of the City’s approved Capital Spending Plan (many items have been on that list for years). Not one of them mentioned that portions of the TPT would be spent to improve public safety (Police, Fire and Emergency Services). Not one of them was willing or able to describe how the TPT could bring jobs with futures and living wages to our community. It is therefore KAMMA’s hope that the public can be informed and be objective as it deals with the negativity and needlessly destructive invective which is all too apparent in the debate about Kingman’s future. The manner in which we respond to this effort will have ramifications far beyond the next few years; it will also extend to the future generations of Kingman’s children and grandchildren. Please demand a public hearing/debate where you can hear about and understand the “whole conversation” regarding the true nature and benefits/detriments of the TPT. In closing, please know that following inflammatory and completely undeserved assumption of KAMMA’s intent in asking for a public hearing regarding the initiative is completely false and was offered only as an attempt to disparage those who see a different and brighter future for Kingman. “It appears that Travis and Kingman and Mohave Manufacturing Association were trying to eliminate the rights of the disabled people of Kingman, and are willing to go to great lengths to force us into paying higher taxes because they want to city to fund other interchange past Rancho Sante Fe.” (Quoted from Doug Angle-Letter to his customers August, 2018). During a special KAMMA panel discussion on January 22nd 2018, questions were raised concerning the sales tax increase for the Kingman Crossing interchange. Will the ballot initiative have a meaning to future City Councils regarding raising revenue for the needs of the city? If the Ballot Initiative were to fail, can we be certain that the I-11 Kingman Crossing/Rancho Santa Fe interchanges will be built and how will we be assured the Sales Tax money will be used as promised? If the Ballot passes and the TPT fails, how will Kingman pay for the maintenance of the city infrastructure, interchanges, and other business-friendly environments? Is there Federal, State, County, City or 3rd party funding to build the interchanges and if so, when is it available? How can Kingman benefit from the emphasis on Federal, State and DOT improvements? What is the likely benefit of both interchanges? Are there investors, corporations, or others who have offered to fully fund the loans to the city for the interchanges? What would induce developers to make investments? Which of the interchanges would best benefit KAMMA and the Industrial Park? Why is KAMMA so strongly committed to the Rancho Santa Fe interchange? Is there a requirement for a second egress and ingress route to the Industrial Park? How will the proposed route handle traffic differently than Route 66?